Unless you have been reading to kids over the last 20 years, you probably won't know about the level system in early reader books: “My First” is for emergent readers; Level 1 has simple sentences for eager new readers; Level 2 is for developing readers; Level 3 has more complex plots; and Level 4 is intended as a bridge to chapter books. There's a skill writing to a specific age group, explained both a writer and an artist recently. The writer is Meg Masters, writing under her pen-name for children Meg Braithwaite, and the artist is Nick Craine. Together they did the 5-Minute Hockey Stories book for HarperCollins, which came out in the fall of 2017. Then in early 2019, five of the stories from the bigger book were simplified and republished as Level 2 books: The Masked Man, The Best First Game, The Golden Goal, Hockey at Home, and What's in a Number. Simplifying it, however, to a “Level 2” is “quite technical. You have to adjust the lengths and vocab and so on. It was quite a lot of work.” Masters actually didn't do the change-over, as she was engrossed in ghostwriting the just-released memoir from Samra Zafar, A Good Wife: Escaping the Life I Never Chose. While Masters didn't get to work directly with Craine, she was thrilled with what he delivered for 5-Five Hockey Stories and for the I Can Read! Books. “I think he did a fantastic job. What I loved about his illustrations ... is they weren't just complimentary or reflective of the text, they actually added to the text, so he was able to add all kinds of humour and visual information for the kids that was terrific,” she said. That humour can be as simple as Russ Courtnall appearing upside down so his uniform number, 6, looks like a 9, the number he wanted in Montreal, but which was retired. “Illustration is half the book with young readers,” she added. For Craine, the biggest challenge is actually the tight deadlines, meaning that he doesn't have as much time as he might like to have the faces better reflect the subject. “HarperCollins decides on a project and I get the manuscript in pieces, and I'm researching it in pieces, so I would like more time,” he added. Hockey book readers will be familiar with Masters' work too, though you won't see her name on the cover. She was the Acquisitions Executive Editor at Penguin Books for 11 years. “For some reason, it's just the way it fell out, I ended up doing the lion's share of hockey books. Now, we tended to do hockey books that were quite writerly, and based on hockey history,” she said. Among the books she worked on were Roch Carrier's Our Life With The Rocket The Maurice Richard and Stephen Cole's Last Hurrah: A Celebration of the End of Hockey. A more complicated narrative than the I Can Read! books, certainly, but equally compelling. 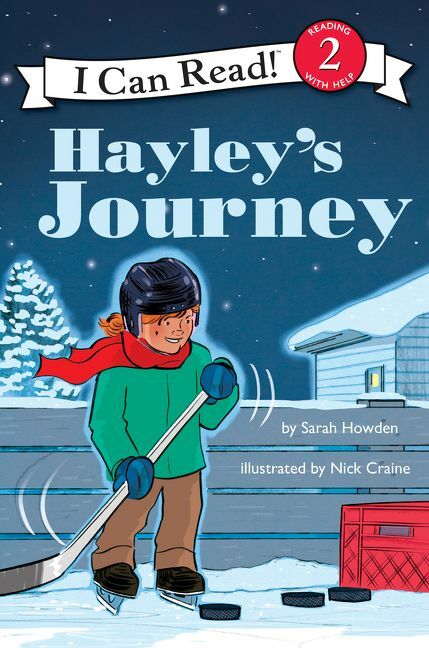 Another Level 2 reader that came out at the same time as the books from Braithwaite is Hayley's Journey from Sarah Howden. There's a couple of tie-ins to Braithwaite's books too—Nick Craine is the illustrator for this one as well, and it was Howden, through her day job, who edited down the 5-Minute Hockey Stories to be appropriate for readers of that age group. The tale of Hayley Wickenheiser's rise in women's—and then men's hockey—was first told by Howden in 5-Minute Stories for Fearless Girls. There are young readers in other languages, too. Jean-Patrice Martel just had his fourth book in the “Raconte-moi” (“tell me about”) French-language series published. Raconte-moi Maurice Richard follows books he wrote on the Montreal Canadiens, the 1976 Olympic Games in Montreal, and the CFL's Montreal Alouettes. 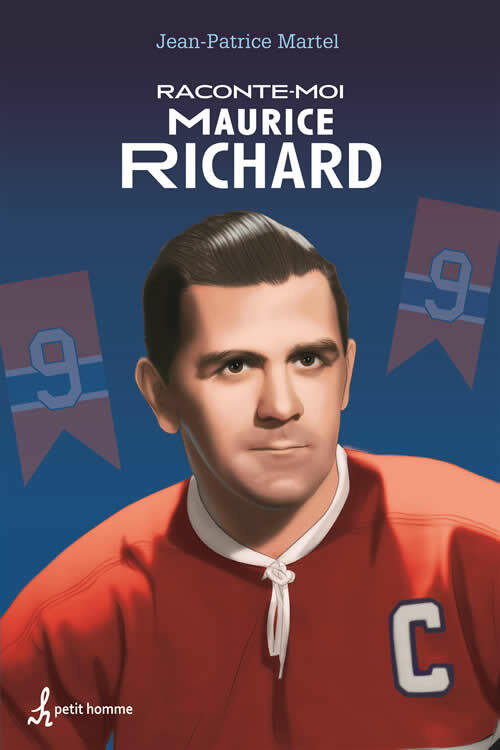 Rocket Richard still resonates as a name in Quebec, even though he's been gone for almost 20 years now. 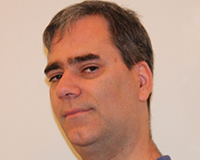 There are mainstream things, like the Maurice-Richard arena on the Olympic Park grounds, the provincial Maurice-Richard electoral district, and the yearly recollection of the Richard riot on St. Patrick's Day in 1955. In 2014, Martel teamed with Carl Gidén and Patrick Houda for the publication of the groundbreaking book, On the Origin of Hockey. Martel was coy about a future project, but did say he's working with Gidén again. “I will reveal that it's not about 21st century NHL expansion...” was all he'd reveal.